1. Attendance: Tom Hall, President; Dave Miller, Vice President/Treasurer; Dan Ross, Secretary; Directors Mike Walsh Lin Manning, Don Osborne, Ken Weigand, and Terry Matter. 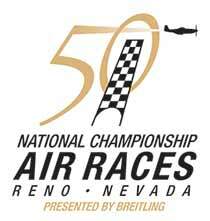 Liaison members: Mike Dikun, Reno-Stead Airport Manager. Member(s) absent: Lew Gage. 2. Minutes: Minutes of the April 2011 meeting were approved as presented. 3. Treasurer’s Report: Cash on hand, $4,051.57. Currently there are 54 members, five more since the first of the year. their efforts. The suggestion was approved not to exceed $250. Tom Hall briefed some of the known specifics of the June 18th membership barbeque. The barbeque will commence midday at the airport manager’s office. He reminded the Board that the Young Eagle flights are scheduled for the morning of June 25th along with a free pancake breakfast from 0700-1200 for the Young Eagles participants. The event will be held in the RARA area on the West end of the airport. Additionally, there is to be a sizable number of aircraft static displays and informational booths available. Tom agreed to author a letter to the local Guard unit/CC suggesting an advisory representative be appointed to provide a military viewpoint for the Board. 6. Airport Manager’s Report: Mike Dikun reported that the Reno-Stead Runway Safety Project that commenced last December iscompleted. Mike reminded the Board that runway 26 now hasa displaced threshold 320 feet from the approach end. hasspecial circumstances, please contact him. Mike’s continuingefforts to replace the RTS AWOS system has succeeded. The new AWOS is ordered and should be operational mid-July. It has both UHF and phone line capability. This new AWOS will report RTS wx conditions to a central processing facility andprovide METARs for pilot with glass cockpits or handheld display devices. Mike reported that the annual Truck Rodeo is back at Stead this year and will occur May 20-21 between the tower and the bleachers. Minimum impact expected to flying operations. Brown out helicopter operations are being practiced West of the departure end of runway 32. This is where the military helos are practicing landings in desert/dusty conditions similar to current Mideast operations. If you see large clouds of dust in that area, it is the helicopters preparing for deployment. These ops will normally be conducted in calm or low wind conditions to minimize the dust. And just as a reminder, PRS will is still on schedule for June 15-18 and Race Week isSeptember 11-18 this year. 7. 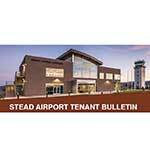 Stead Liaison Report: Brooks Mancini, Reno InternationalAirport Authority absent due to a conflict. 8. General Discussion: None due to the lateness of the hour. 9. 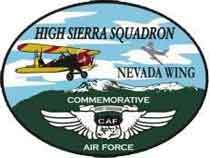 Next Meeting: The next meeting will be June 14th, 2011 5:15p again at the summer quarters, the Reno-Stead Pilot Lounge. 10. Adjournment: The meeting was adjourned at 6:35p.